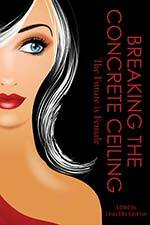 Elyse Flynn Meyer, Owner & Founder of Prism Global Marketing Solutions, recently co-authored the book, Breaking the Concrete Ceiling: Empowerment Tools for Women. The term “branding” has always been synonymous with companies. Companies have a brand that has been cultivated over time, and people associate different attributes, thoughts, and feelings with that company because of its brand. People also have their own brands, but oftentimes don’t think of themselves as their own “brand”. It’s time for that to change. Simply fill in your information to access your complimentary copy of the book chapter.